Strong leaders have to project the right body language and be able to read it well in their team members if they want to lead them to success. 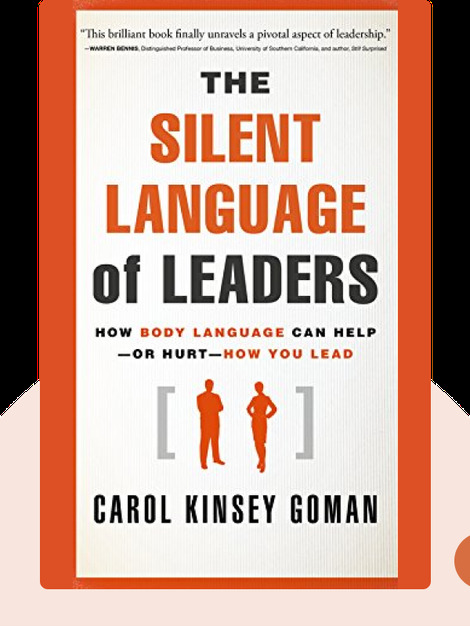 The Silent Language of Leaders (2011) offers tips for reading and controlling body language, even in cultures where social cues differ. Carol Kinsey Goman is a leadership coach, management consultant, keynote speaker and the president of Kinsey Consulting Services. She has published eleven books. 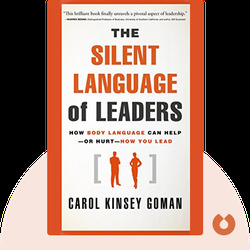 © Carol Kinsey Goman: The Silent Language of Leaders copyright 2011, John Wiley & Sons Inc. Used by permission of John Wiley & Sons Inc. and shall not be made available to any unauthorized third parties.